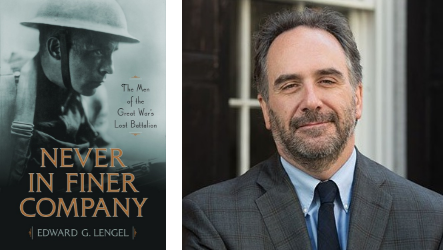 Never in Finer Company: The Me of the Great War’s Lost Battalion by Edward G. Lengel is published by Da Capo Press. See HERE for details. Here is my experience in reading this book: I have been teaching on World War I for the past month or so in my Humanities class on the Modern Age. We have been reading from Barbara Tuchman’s Pulitzer Prize winning book The Guns of August. Then the class read Erich Marie Remarque’s great novel All Quiet on the Western Front. I have been lecturing, passing out maps, and showing a few documentaries as well. To further my own reading, I read Douglas Bond’s novel War in the Wasteland, which I also reviewed on a previous blog. Also, I read Michael Howard’s book The First World War: A Very Short Introduction. More books were and are being stacked on the desk. 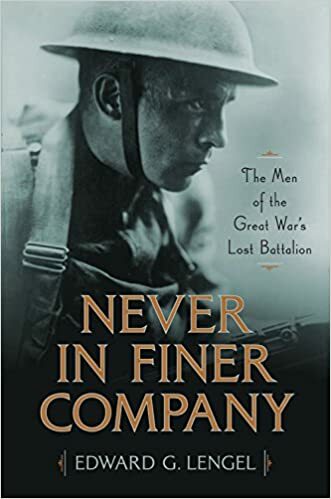 In the midst of it, I had dug into Never In Finer Company, trudged along for 140 pages and realized that it wasn’t just a battalion that was lost in the Great War. I was lost in the book. I wondered if the book itself was the problem. But, I started over. Nope, the book wasn’t the problem. It was the reader. I quickly retraced the ground that had been lost while I retreated from page 140 back to the beginning. The story began coming together much better. (Too many irons in the fire, or books on the stack, had derailed my earlier effort.) This book was being read during one of my favorite reading times in the day: When I go to bed. Reading doesn’t put me to sleep; instead, it brings a great closure to the day. Often, I have a biography or book on history to read during this late night jaunt, and I have a page-turner novel. I read the non-fiction and enjoy it, but get a little more delight out of the plot twists of the novel. But this book began outshining the fiction reads. As the Lost Battalion was holding its own against the Germans, while facing hunger, thirst, and imminent death, I was entranced with finding out what was going to happen to them. If this had been a fictional account of soldiers in wartime, it would have make a first class story and could be an incredible movie. But it is even better. It really happened. World War I is so overshadowed by the Second War. The machines and weapons of WWI seem so awkward, the films portray men walking like Charlie Chaplin, and the sheer static nature of so much of that war leads to a sense of despair. In World War II, soldiers where capturing something. In World War I, they were wasting away in the trenches, or so it seems. Americans began training for the war some time before we actually entered. The nation entered the war with little actual understanding of the costs, the tactics, the enemy, and the course of the war. The United States was woefully short of weapons. As has often been the case, we did have the old “can-do” spirit and the assurance that the Europeans just didn’t know how to wrap this thing up. When the American army was finally able to be its own military unit under General John Pershing, the prevailing strategic idea was “advance.” I suspect that had we entered the war one to two years earlier, we would have had our own “Battle of the Somme” or Verdun (referring to British and French battles with incredibly high casualty rates). When we did take to the field, the German army was largely already beaten or worn down, but it was more like a trapped and wounded grizzly bear than like a dead chicken. Advance was ordered by the Americans, and advance they did. The “Lost Battalion” consisted of about 600 men who were part of the 77th or Metropolitan Division. 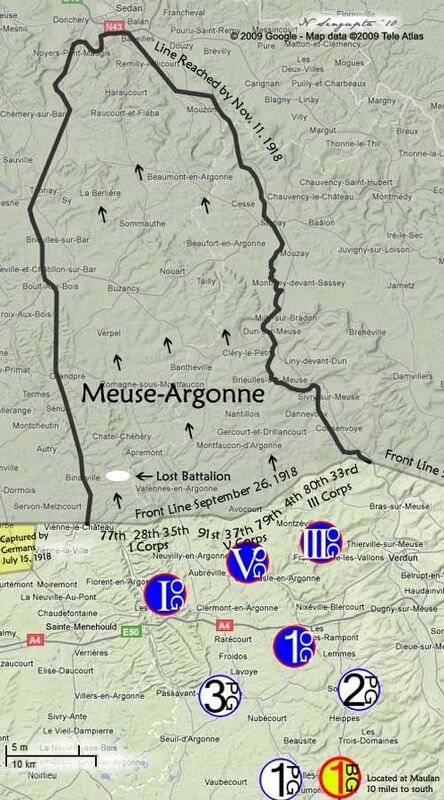 The battle was known as the Meuse-Argonne Offensive. It was a great victory–in the long run–for the Americans, but it was no cake-walk. The Lost Battalion was surrounded by the Germans and completely cut off from supplies, reinforcements, a line of retreat (which was unthinkable anyway), and even communication. The heroes included a couple of officers named Charles Whittlesey and George McMurtry. Neither man was a soldier by profession. Both were conscientious, self-less, and unhumanly brave. Of course, the soldiers on the ground were heroes as well. Many were threatened with death–either directly or by infection–from lightly or untreated wounds. All were hungry, thirsty, and without any comforts. In the best of military traditions, city boy and country boy, Christian, Jew, and non-believer, educated and uneducated men melded together and fought for all they were worth. I must confess to being thrilled when Lengel described one of the later attacks by the Germans. The Americans, in danger now of running out of ammunition, were hurling curses across the field to their enemies. They didn’t yield an inch. Rescue finally came to what was becoming a center of media attention–the Lost Battalion. Several soldiers were sent through the lines to contact the main American forces and guide them to the soldiers under siege. One hero of the story was a pigeon, named Cher Ami, who was badly injured in her flight carrying a message from the battle back to headquarters. As if this story itself were not enough, there is another part of the larger story that Lengel includes. I supposed I have watched and used the movie Sgt. York three dozen times in my years of teaching history. 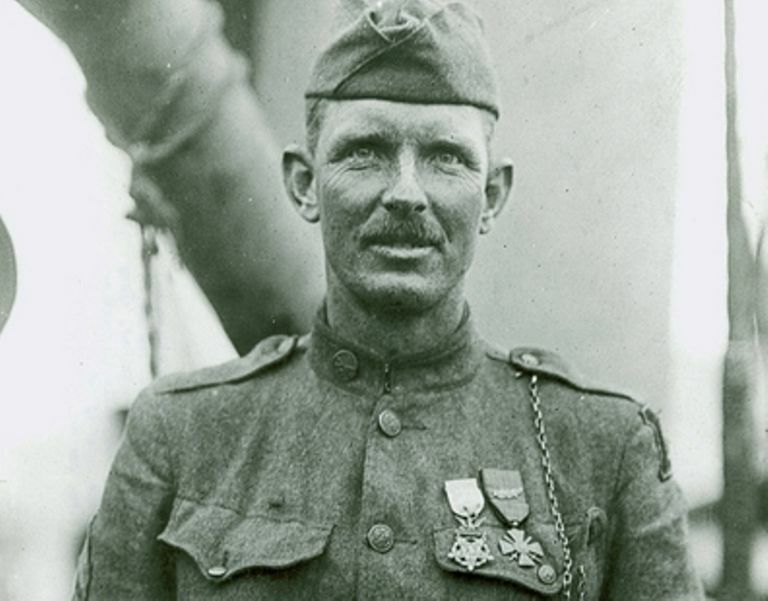 Alvin York was not a part of the Lost Battalion, but his heroic exploits, which won him fame and resulted in the movie version of his story, took place as the rescue was being effected. York’s story is told here as well. I am all for honoring heroes and this book is full of them. But life and history is never quite that simple. There were commanders who were out of touch with what was happening. There were cases where responsibility was shifted by those seeking to escape blame. When the battalion was rescued, there were some who were ready to capitalize on the successes. Post-World War I resulted in plenty of cases of men suffering from the effects of the war. Again, this is often forgotten. The Great Depression and World War II trumps the first war and the post-war period. Yes, lots of men, like Alvin York, returned home, married their sweethearts, had a family, and worked. But even his life was more complicated than that. Some like Charles Whittlesay never recovered from the war, the memories of the death and cries of pain, and the feeling of guilt as a commander. These men were a fine company, and this book, despite my initial bad start, is a really engaging account. Doris Miller, Pearl Harbor, and the Birth of the Civil Rights Movement by Thomas W. Cutrer and T. Michael Parrish is published by Texas A & M University Press. The heart of this true story reads like a scene out of a Hollywood movie. The Japanese attack Pearl Harbor on December 7, 1941. Below decks on one of the U. S. ships is a cook named Doris Miller. An African-American from Texas and the grandson of slaves, he knew the struggles of poverty and difficulties of life for blacks at that time. The navy offered him a chance to improve his lot in life. But that path was also strewn with boulders. Blacks were relegated to service tasks such as cooking and other less prominent roles. Then outside the bombs start dropping. This was no time to be serving up bacon and eggs. Miller rushed about the deck and went to a dying officer and sought to help him. Then, noticing the Japanese planes flying about and seeing a machine gun unmanned, Miller ran over and began firing. Maybe he actually shot down several Japanese planes, or maybe he was just doing the best anyone could. Funny thing though, Miller had never been given any training in firing such a weapon. His training was in the realm of pots and pans. But he rose to the occasion. Miller himself looked like someone out of central casting. Big, handsome, strong, solemn, he was every inch the hero. We hear the phrase, “actions above and beyond the call of duty,” but that doesn’t go far enough. I suspect Miller didn’t view his actions as being above or beyond his duty or even see it as courageous. He did what he was supposed to do. We always need heroes, and Miller was such a man. In the Paul Harvey vein of “the rest of the story,” I would like to think that Miller rose through the ranks, enjoyed marriage, family, and a successful career in the post-war years, and helped changed the face of America. Only the last part is true. He died in action some two years later, still serving in the navy, still protecting America. Obviously, he was not alone in dying for his country, nor was he the only African-American who served and gave the greatest sacrifice. Posthumous honors and awards seem empty in a way, but they are vital for those who survive. In his time, Miller received the Navy Cross, which is the third highest naval award for combat gallantry. In the years that followed his feats at Pearl Harbor and his death, people in the African-American community along with some Congressional leaders lobbied for Miller to receive the Congressional Medal of Honor. Skin tone though still ruled the day, and Miller never achieved this award. Of course, many in the Civil Rights Movement found that passively waiting for change was not getting results. Hence, we remember Martin Luther King, Jr.’s speech where he repeated the refrain, “How long? Too long.” But the 1940s were not the 1960s, and without men like Doris Miller, the 1960s could not have accomplished what they did. At first that statement made me mad. How could she say such a thing? Then I had to calm and think about this some. She was not speaking as a history teacher looking back over both the evils of the Third Reich and the progress of racial matters. Yes, historically speaking, she was wrong. But she was speaking out of a life of bad experiences. I don’t believe in repenting of other people’s sins, but I do believe in recognizing sins of the past. I wish history was a real corrective to social problems, and I wish that people “learned the lessons from history” (whatever that means). I do think that it is instructive to both mind and soul to read books like this and to be both motivated over the heroism of Doris Smith and be made sorrowful over the racial attitudes of the past. This is a good read–good for mind and soul. Admiral Chester W. Nimitz pins the Navy Cross on Doris Miller. With more books at hand, I could easily get caught up in a year or more of reading on World War I. But the pressures of school will lead me on to other events in the 20th century. This is the time where I will discuss Bond’s novel. Douglas Bond has carved out a much needed niche in writing books chocked full of history, but told in fictional form and suitable for younger Christian readers. I hesitated about that last phrase “younger Christian readers” because it might tend to ward off adults from reading his books. Let me repeat this saying (without knowing who to give credit to for saying it): A good children’s (or teenage or young adult) book is one that grown ups can read and enjoy as well. Some books are not good for us at certain ages. Of course, some books are not good at any age. Elie Weisel’s Night is a powerful and painful book, but not one that should be read to the wee little bairns as they are cuddled up in blankets about to go to sleep. I think that the statement found on the cover of All Quiet on the Western Front is quite true: “The greatest war novel of all time.” I loved teaching this book to my high school students, loved reading it for the fourth or fifth time, loved writing the student exercises for Omnibus VI: The Modern World on the Remarque novel. That being said, it is not the book I would want to teach to junior high students about World War I.
Douglas Bond, as I previously implied, has written a whole shelf full of books on history. History textbooks should have a warning from the Surgeon General on the front cover: “Warning: This book might contribute to a dislike of history by the student. Contains many dry facts, maps, dates, etc. that will possibly hinder an unrestrained love of the past.” Granted, I love history books, but it was a teacher, World War II documentaries, and stories, stories, stories that wooed my heart away from childhood fantasies to envisioning a future teaching history. Bond is a story teller. He does the historical research, carefully looks over the time and settings, and even calls forth a few actual historical figures for some cameo appearances. He then crafts a story that will be entertaining in and of itself. But the story is lodged within the greater story of the actual history. G. A. Henty did this same thing in his 82,000 (I may have exaggerated) formulaic history novels. Michael Shaara did it in Killer Angels and his son Jeff has produced a number of volumes on various wars. Bernard Cornwell has written dozens of novels on historical events, including the Saxon series which I have been reading and collecting for several years. And some Russian guy named Leo Tolstoy is reputed to have written something about some war and the peace that followed relating to Napoleon and Russia. Bond’s appeal (aside from the fact that his books are 1 one thousandth the length of Tolstoy’s) is that he is writing specifically Christian books. He is not dropping a Christian message from the sky into an otherwise pagan setting. Nor are his books crafted so that all the participants come forward in an altar call in the last chapter. He writes about Romans and Celts, Scotsmen in Scotland and the American colonies, Protestant Reformers, and others who would have been influenced by, aware of, and often converted to Christianity. 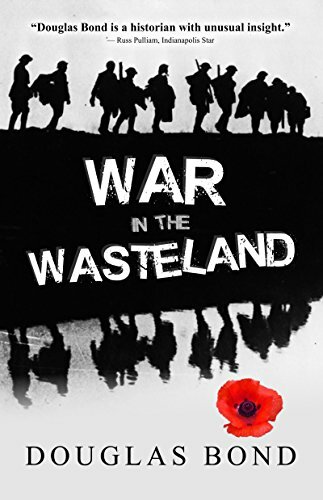 War in the Wastelands is about a young recruit in the British army named Nigel Hopkins who is sent over to France along with thousands of other Brits to join with the French in fighting the Boche (Germans). World War I, after a month or so of maneuvers and movement (see Guns of August) settled in to being four years of trench warfare, a war of attrition, a war of little movement, much death and destruction, and lots of futility, waste, and angst. Battle lines moved back and forth by a small number of miles and large numbers of casualties. In fact, having read several accounts lately, the numbers have reached a point of not even registering in my mind due to the incomprehensibleness of so many deaths. This book makes for a helpful read for those wanting to learn about World War I. It is good supplementary fiction, free from the textbook dangers mentioned above. It is also a good look at the life of Lewis and the thinking that formed his mind in his pre-conversion years. It is also a testimony to faith. As much as I love All Quiet on the Western Front, I ache for the souls of the characters in that story. Not so in this book, although not everyone dies trusting God. Above all, War in the Wasteland is an enjoyable story which is the key purpose of a book. News Update: Douglas Bond’s newest book The Resistance, which is about World War II, is coming out and is available right now alongside of War in the Wasteland for $25. Great for a Christmas gift to your kids, your history reading friends, and for that special someone who really likes books–yourself. I am always bothered by those questions that go like this: “If you could share a meal with some famous person from the past, who would it be?” It bothers me for several reasons. First, I would be so filled with anxiety that I couldn’t eat. Second, I can never think of anything sensible to say if I am around anyone who is famous, prominent, or in any way intimidating. Third, some people that I really love from the past would not be very congenial to be around. Along with that, if more than one of my heroes were there, I am not sure that they would get along. I would positively dread sitting at a table with Ronald Reagan, William Faulkner, and John Calvin. 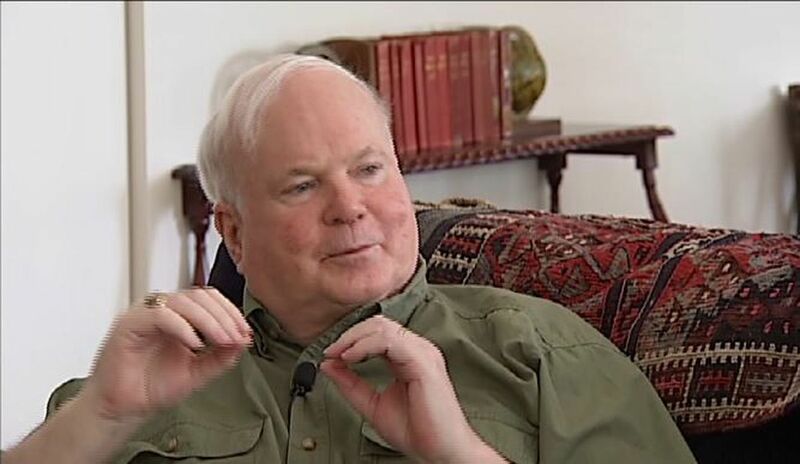 That being said, I think I could enjoy having some real contact with the late South Carolina author Pat Conroy. Conroy does not rank among my “most favoritist writers.” I don’t think he would rank as one of the greatest writers of all time. But the man could write. He could craft stories. He could create plots that trap the reader and remain in the mind long after the book was finished. He could delight, amuse, shock, offend, heal, and touch his readers. The man, in spite of criticisms of his overblown prose, could deftly handle the gestation of literature that happens when the right pencil and paper meet. 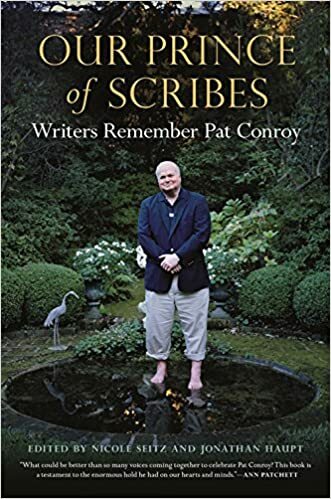 My most recent brush with Conroy came through reading Our Prince of Scribes: Writers Remember Pat Conroy, edited by Nicole Seitz and Jonathan Haupt. The book has been published by the University of Georgia Press. This book consists of a large number of memories, tributes, eulogies, and accounts of writers who knew Conroy. Many of the contributors were unknown to me, but the fact that Rick Bragg and Ron Rash both contributed to the book was enough to pique my interest. Upon starting the book, I found myself enjoying it, but thinking that it would be a book that only Conroy fans would care for. No doubt, anyone who likes Conroy’s work would enjoy this collection, but it is more than a farewell tribute from fellow authors. This book is a biography, but it is also the story about writing, about encouragement, about the role of authors, the need for mentors, and the power of love. In case after case, Pat Conroy reached out to new, aspiring, and struggling authors and pressed, pushed, cajoled, and forced them to write. If they had already written a book, he use the same tactics to get them to finish their second book. Repeatedly, Conroy would embrace these younger or novice authors and brag on their books. He could have written a whole book consisting of blurbs he wrote for other and often unknown writers. Although he had no shortage of reading materials in his own personal library, he bought lots of novels by those who he was encouraging. He both read and remembered, praised and sometimes constructively criticized, and created a whole cadre of writers, largely but not always southern. I discovered more authors and book titles than I will ever be able to read just by reading this book. Conroy would end letters and notes with the words “Great Love.” My goodness, the man looked like a cross between Santa Claus and a teddy bear. Many writers speculated that Conroy’s own pains, abusive upbringing (all related to accounts found in The Great Santini), and struggles in life gave him a strong heart of passion for all he did and people he touched. Conroy was no saint, either in his own Catholic tradition or in the Protestant sense of the word. He recognized that the writer is searching for God. His own search was part of his overall search in life and desire to write well, live well, and love well. Conroy was, maybe even more than a writer, a teacher. His early book, The Water is Wide, is an autobiographical novel about his experiences teaching in an African-American school off the coast of South Carolina. The teaching profession lost a gem when he was fired and when he turned to writing as a career. But he was always the teacher, the coach, the mentor, guide, and helper. I wish I could have met the man. I wish I could have sat down to a meal with him. He would have talked the whole time. I would have been falling over in laughter at half his stories and turning red from embarrassment at other stories. I would probably be working on a novel right now if I had met him. Years ago, I attended a pastors conference and heard a prominent theologian whose books I own and have read. I ran into him during the conference as he was going down a flight of stairs. I stopped and told him how much I loved a certain book he had written. Being tall and standing on a higher step, he was already over-towering me. What I always remember is that he just stared at me when I spoke to him. Maybe there were some reasons why I was left cold by that encounter. But if I had met Pat Conroy, the story would be drastically different. He would have made me feel like I was the king of the hill. I started reading Conroy books way too late. It all started when I picked up a copy of My Losing Season and fell into the trance of his prose style. I still have several volumes to go before I can say that I have read all he ever wrote. That’s the best we can do now. He is gone, but his influence, his personality, and his books live on. 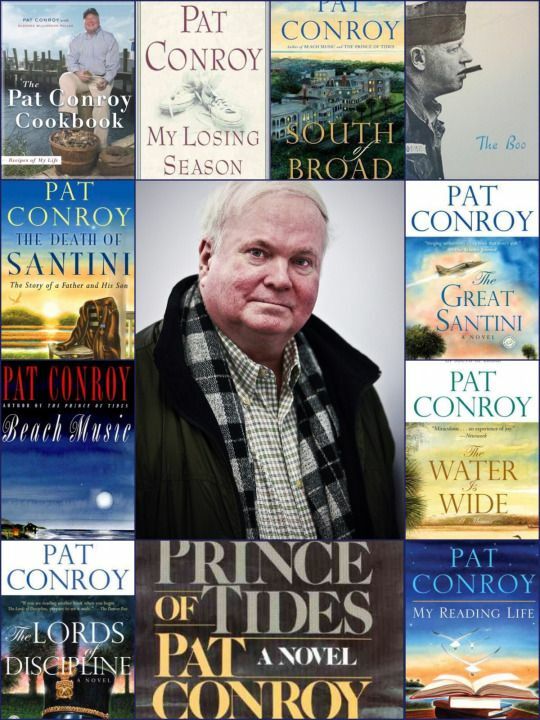 The accounts of Pat Conroy are the best examples I have seen of someone who had and used the gift of encouragement. Although famous, he always took time for others. He expended himself on helping others. R. C. Sproul spoke and wrote about his own experience reading Conroy. He read The Lords of Discipline and wrote to Conroy praising him for the book. Sproul was then surprised when he got a letter back from Conroy. Sproul had been grappling with how to write a dialog when the speakers are using “non-Sunday School” words. Conroy expressed his own frustration that church folks had with his books. As Conroy would say, people cuss and do violent things. His writings are realistic. Churchill, Roosevelt, and Company: Studies in Character and Statecraft by Lewis Lehrman is published by Stackpole Books. A related book by Lehrman and published by Stackpole is titled Lincoln and Churchill: Statesmen at War. I hope to get it read and reviewed in due time. The world during the 1930s and 40s was dominated by a number of men who were Titans. That is, leaders in both political and military roles rose to the top and engaged in world-shaking and world-shaping events. There were good guys and bad guys. There were unknowns who rose from obscurity to great fame. There were others who had long served, but who were able to cap their careers with great achievements. World War II and the periods both before and after the war have permanently lodged in my mind as a time of great historical interest. This year, 2018, I have restructured my Humanities history class so that I could give a little more teaching focus to the 20th century. I have often bemoaned the experience of getting to the 1930s and beyond in late April or in May when the school year is winding down. One of the fascinating features of this book is the description of their interaction and friendship. They were truly friends, or friends as much as is possible for men separated by geography and other considerations. Both were quirky and unorthodox in their leadership styles. FDR was often cutting or undermining toward WC, especially as the war progressed. How FDR ran the government is a marvel and a mystery. He could be cunning, confusing, vague, contradictory, involved, distant, uninformed, bored, conniving, and add whatever other adjectives you wish. Also, note that he was extremely skilled at political leadership, perhaps because of all those less than complimentary adjectives. He was also a very limited man due to his physical disability coupled with age and health issues. He should have stepped down from the Presidency in 1944. But he powered on through to his last day. Churchill was some six years older. He seemed to derive energy from one of the most interesting health programs ever. It consisted of staying up all night, drinking excessively, smoking cigars, talking endlessly, and traveling the world at a moment’s notice. He outlived most of the other leaders of World War II by several decades. When he would visit FDR at the White House or other locations, FDR’s aides would work to make sure that their man did not stay up too late. No one ever tried to make WC go to bed. Perhaps the most amazing figure in this book, besides the two main leaders, was Harry Hopkins. Like him or not, know him or not, he literally worked himself to death for FDR and for the coalition. Perhaps he is usually just ranked as a ardent New Dealer, FDR aide, and one time Secretary of Commerce, but he was largely the conduit of connections between FDR, Churchill, and many others, including Stalin. How such a sick man traveled, worked, communicated, and overworked is beyond me. Anyone who thinks that political opportunists are just in it for the money and prestige cannot account for such men as Harry Hopkins. When you read of the leaders of World War II and see the pictures features them, take notice of those many other men who are behind the scenes, mentioned often, and seemingly present at many events. This book really highlights their roles. I highly recommend this book for those of you who love history, historical figures, and World War II from the political and planning angles. Fine reading, to be sure.